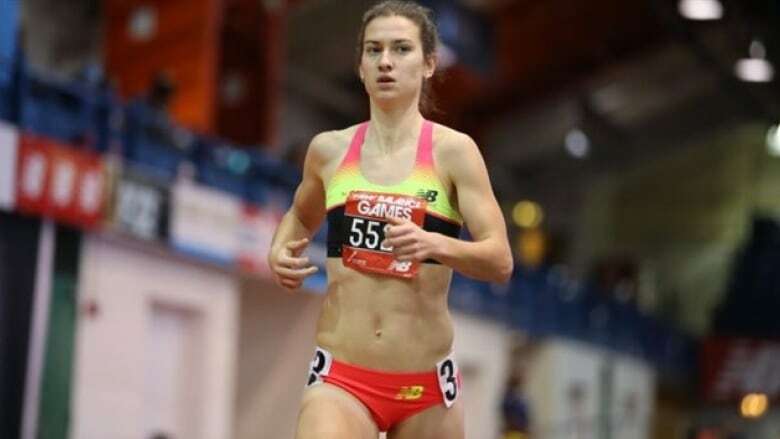 Geneviève Lalonde set a national record in the 3000-metre steeplechase race at the world track championship in London on Friday. Geneviève Lalonde set a national record in the 3,000-metre steeplechase race at the world track and field championships on Friday in London. Geneviève Lalonde set a national record Friday in the 3,000-metre steeplechase race at the world track championship in London. The Moncton native ran the final in a time of 9:29.99 and came in 13th. Lalonde qualified on Wednesday to be in the final, running in 9:31.81, the second-fastest time by a Canadian in the event. She also set the record for best Canadian time at last year's Olympics in Rio, with a time of 9:30:24. In the race Friday, two runners from the United States, Emma Coburn and Courtney Frerichs, took the gold and silver, beating defending world champion Hyvin Jepkemoi of Kenya, who was third.